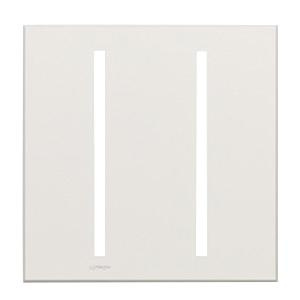 Lutron Grafik T™ New architectural 2-Gang wallplate in white color, measures 4.8-Inch x 0.42-Inch x 4.69-Inch. Wallplate in square shape, is ideal to place in horizontal orientation. Wallplate is UL listed.